Looking forward to flipping through this new book in 2018. 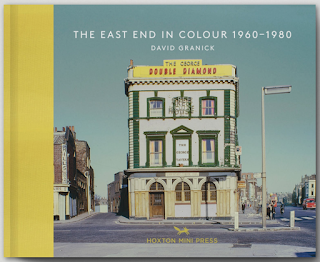 Hoxton Mini Press has produced a new volume about the East-End but this time it goes back in time for 2 decades between the 60's and 80's. Why would I suggest this book which I haven't read yet? For the simple reason that this treasure trouvé has only come to light through the genius of Chris Dorley-Brown. I have had the opportunity to meet Chris recently and he told me how he has lived like an hermit for almost a year. The reason being that the Tower Hamlet Archives asked him early 2017 to dig through their untouched private donations. After careful considerations Chris decided to investigate closely some suitcases, or boxes, of slide films left aside. 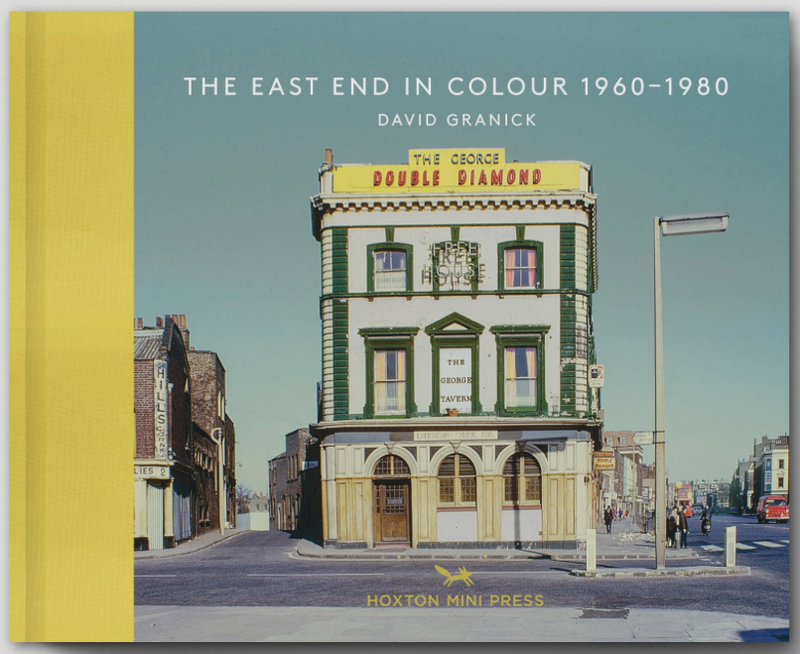 After weeks of scanning it appeared that a certain man called David Granick had been photographing methodically the East-end for its architectures and aura. He gave away his entire collection to the Council not having any children to pass them on. After seeing some of his images on screen it is clear to me that the work of this man has to be diffused and shared today. Not only his rigorous discipline is baffling for its methodical mise-en-scene but also his interest in the most benign details. His eye is alert, analytic but sensitive too in the way the urban landscape baths. His compositions are sharp. His use of colour is subtle. But the strangest thing of all is that the man who unearths such a treasure is a man who has been doing the same for more years maybe and who didn't know anything about Granick's. Even stranger is the fact that we could actually take the work of Granick for being Chris Dorley-Brown's!